While living in Rome, we have been incredibly fortunate to have our most wonderful neighbors, Barb and Dennis, care for our home and our cat Isis. Isis is an old cat, 18 or 19 yrs old, and it was easier to leave her at home and have Barb come over daily to care for her, than to foster her out to someone during our absence. Barb has also been gracious enough to take care of Isis when we travel on shorter trips and will bring her grandson Darian with her to feed Isis when he is visiting. Since Darian has never seen us at the house, he thinks Isis lives in a lovely furnished home with a swimming pool by herself! Isis is a sweet cat, a dear companion, but nocturnal, as most cats are, so we’ve had to put her in a room with her food and litter box at the other end of the house at night in order for us to get any sleep. Otherwise she’s in the bed waking me up numerous times during the night; or scratching at the bedroom door if we close it to keep her out and howling at the top of her kitty lungs. 1. Isis will have free reign of all living quarters at all times. Isis (aka Kitty, Puss) will be able to sleep on the bed as she has become accustomed. 2. Kitty will have breakfast on the patio on those days where weather permits. 3. Isis will eat small portions 3-4 times a day keeping food fresh. 4. Two different varieties of foods will be served daily. 5. Kitty is to be combed with her pink comb daily to prohibit the tangling of fur into unsightly hairballs. 6. Isis is to be petted and spoken to in a mild and sweet manner upon seeing her enter a room. Failure to meet these demands will result in hairballs on bed pillows, and loud and obnoxious meowing. 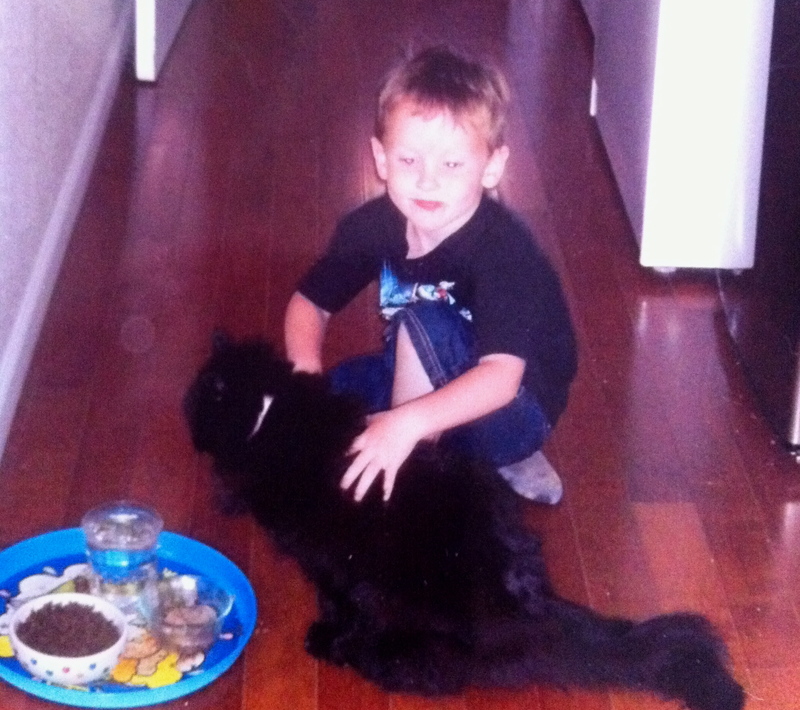 Also a call to CPSA (Cat Protection Services of Arizona) will be made. Isis with her Legal Counsel, Darian, deliberating over lunch! We’ve all heard the saying, “Rome wasn’t built in a day.” In a city that has been in existence for millennium, the concept of time becomes a very relative thing. As you know, Michael was asked to go to Rome for a 6 month work assignment. His employer, being a large multinational company, outsourced the immigration assistance to another company, which is based in England. In Italy it is well known that things take time…2 hour meals, 3 hour siestas, wars that go on for decades, centuries to build a palace. You get the picture. 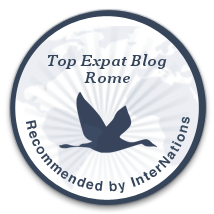 The process to obtain an Italian work visa and permit is of course a long and complicated one. There are multiple steps, too complicated to go into the detail here, but trust me, it’s long and complicated. After the decision was made to send us to Italy, the application was submitted to obtain a Nulla Osta, a document that is required as part of the work visa process. We were told by the UK immigration company that that application for the Nulla Osta had been submitted at the end of January. One week before our scheduled departure from the US, we found out that in fact the application had not been submitted in January, but had just been submitted in early March, and oh by the way, that employee no longer works for the company! We were counting on the 6 weeks of lead time from the time the application was submitted to allow us to not overstay the time allowed to be in country on just our passports, without the work visa. There is something called the Schengen Area, which was created in 1985 by the Schengen Agreement, to create a borderless region in Europe for travel. The agreement allows people who live within the region to travel unrestricted within it, but also created restrictions for travelers outside the Region. What this means for Americans traveling in the area is that you can only be in the area for a total of 90 days in a rolling calendar year on just your passport, without obtaining a visa of some kind to remain in country. So while we’ve been enjoying our lovely stay in Rome, the clock has been ticking on the number of days we can remain in the country. The immigration company has been following the progress of the granting of the Nulla Osta, which we were told, should be issued any day now. Then we were told, it was being held up. Then we were were told it has been approved to be issued, but there is a 3 week delay in printing it at the Department of Labor. When we were telling our waiter Martin at Leon Wine Bar and Restaurant, our local Roman hangout, about our dilemma he laughed. “Only 3 weeks?! I waited one year for mine to be printed!”. So on Saturday, we left beloved Roma and returned to sunny Arizona. Where we sit and wait…and visit friends, renew acquaintances with our cat and all our things, (I only need to go shopping in my own closet! I forgot I had so many clothes!) while we wait for the Nulla Osta to be printed so Michael can take it to the Italian Consulate in LA. After submitting the paper work in LA, we must wait in Arizona for the work visa to be issued so we can return to Roma for the remainder of the 6 month assignment. I’ve not been known in my life for my over abundance of patience. I know, patience is a virtue. Kind of goes hand in hand with “Rome wasn’t built in a day”. Michael tells me to look at it like this…we’re on a “vacation” back home from our “vacation” living abroad. This experience is teaching me patience. Maybe a 2 hour lunch and 3 hour siesta is in order today. I often ride the 628 bus which I can catch on the street just behind our flat. It takes you to the City Center past Circo Massimo, Piazza Venetia, Piazza Navona and then turns by the Tiber River to continue going north. I’ve often passed a very modern building that looks a bit out of place in such an old city, and wondered what it was. Now I know. 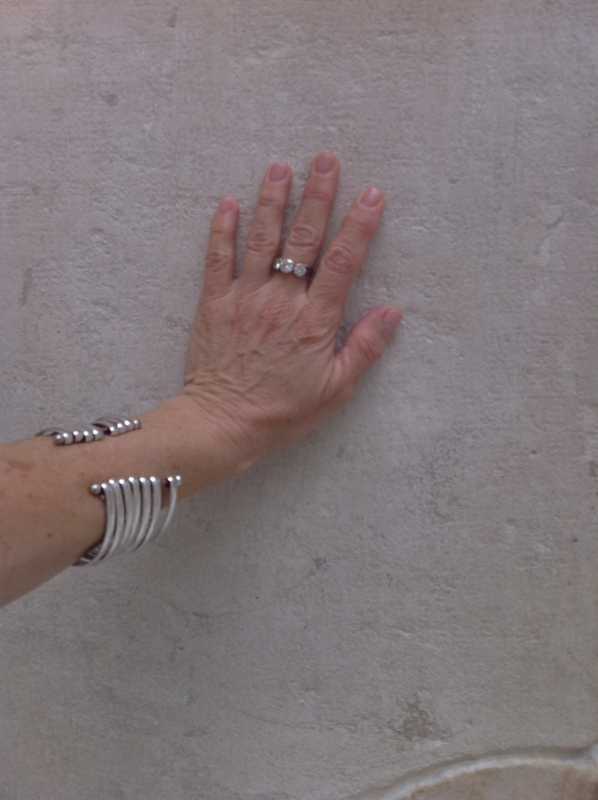 The building is Museo dell’ Ara Pacis. It was the first modern building to be built in the historic center of Rome since the fall of fascism. 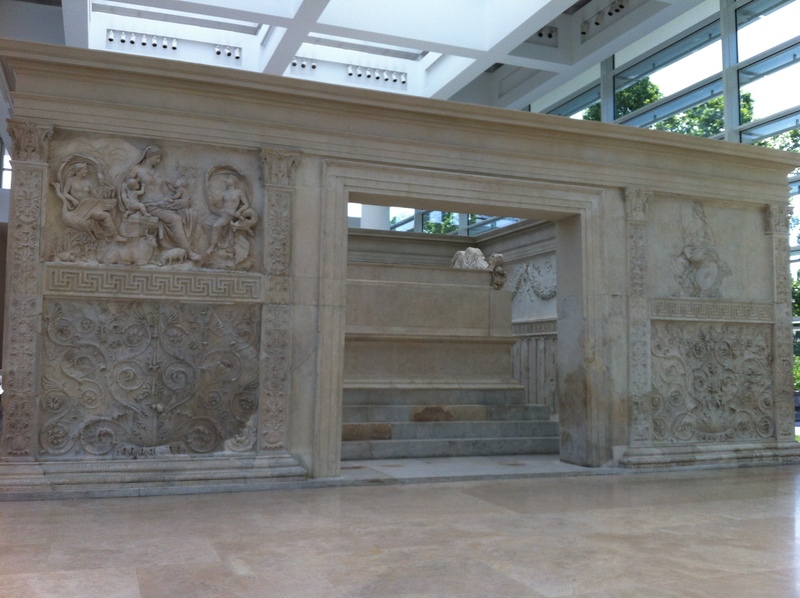 Designed by the famous American architect, Richard Meier, it houses the Ara Pacis, an ancient altar that was constructed in 13 B.C. in honor of the Emperor Augustus. It’s original location was on the Campus Martius, a field that lay outside of the City. Due to flooding of the Tiber River and the softness of the earth in this area, the altar eventually sunk and was lost for millennium. When it was rediscovered in the late 1800’s, it lay under a palace. In 1937-1938 it was finally reconstructed to mark the bi-millenium of Augusta’s birth and a temporary structure was built around it, again on the banks of the Tiber. 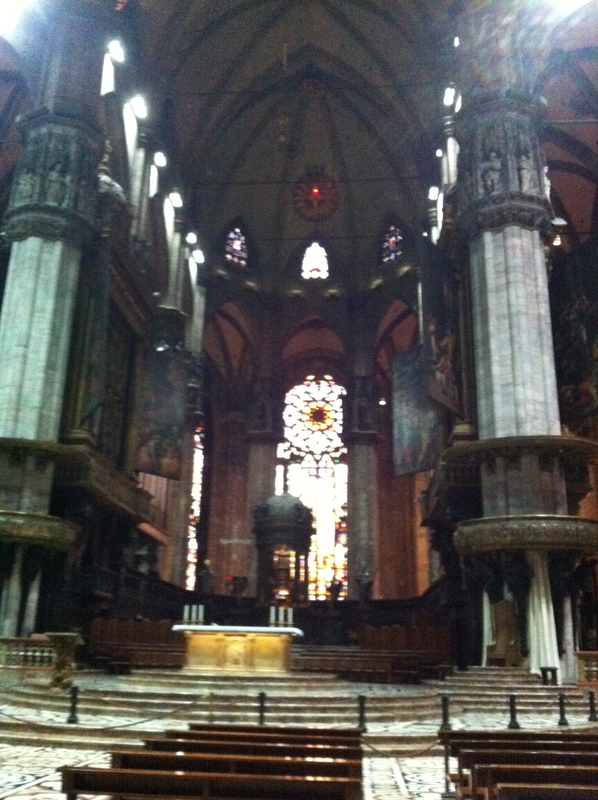 The War prevented further protection of the altar and over time, it suffered from the effects of weather and pollution. 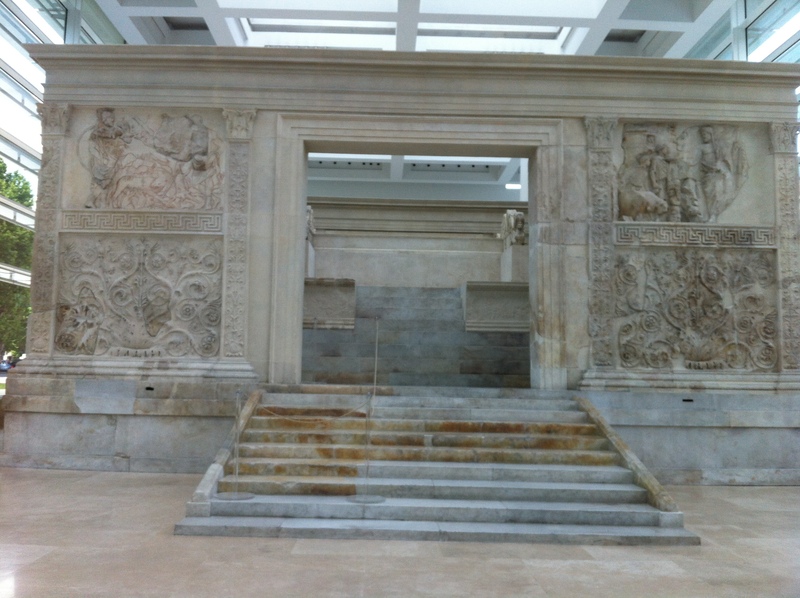 The Museo is now temperature and humidity controlled to protect the monument. It also houses additional exhibition space which currently has a show of Avantgarde Russian painters that I got to visit. I saw 3 Marc Chagall early paintings, wonderful Kandinsky and many other Russian artists influential in the modern movement in the early 20th century. It was a lovely afternoon…something old and something new. This city will never cease to amaze and delight me. 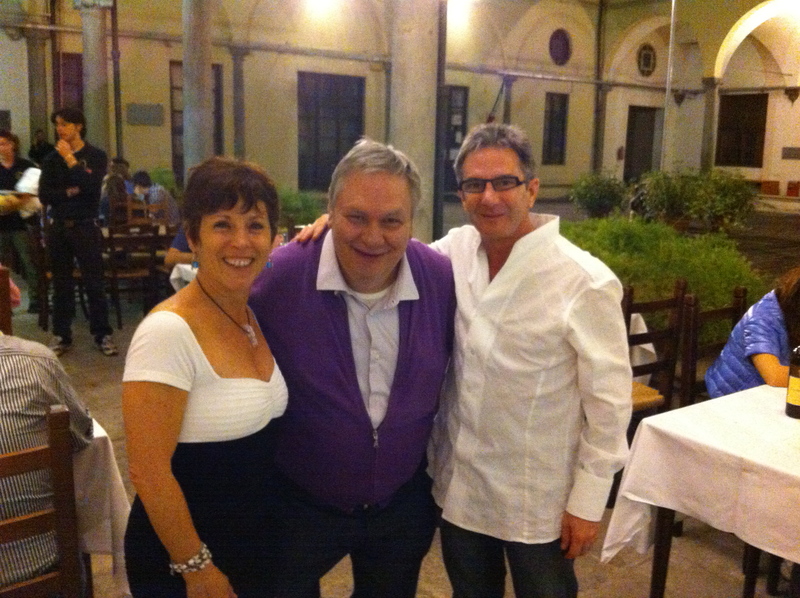 We had the opportunity to travel to Milano last week so Michael could attend a work meeting. We stayed at the Carlton Baglioni Hotel in the middle of Milan’s Golden Triangle shopping district. It was so luxurious and plush, I had a hard time dragging myself out of the room most days. It was so fabulous that we even stayed an extra day! 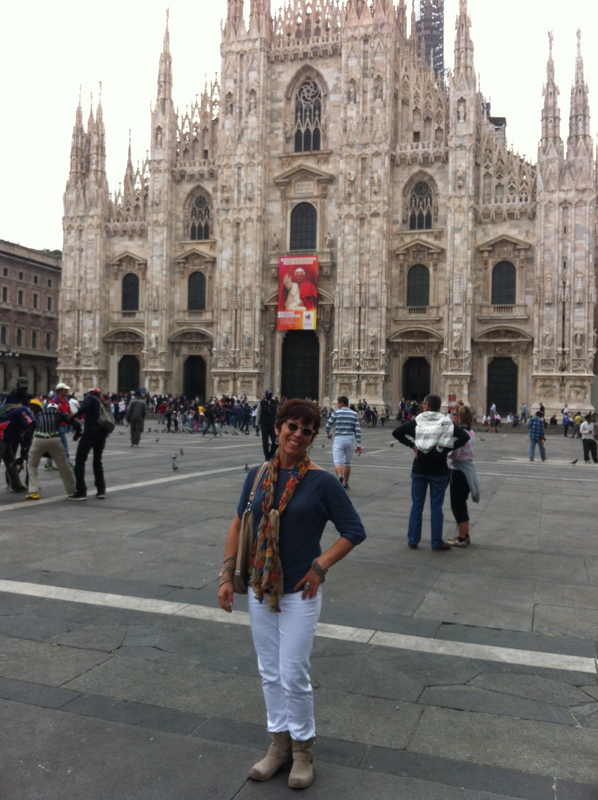 I have been to Milan in the past on prior trips to Italy. This time though, after living in Rome for awhile, the contrast of the two cities seemed huge. While Rome’s population is double that of Milan, Milan seemed bigger (and it may be if you compare the area and not population). 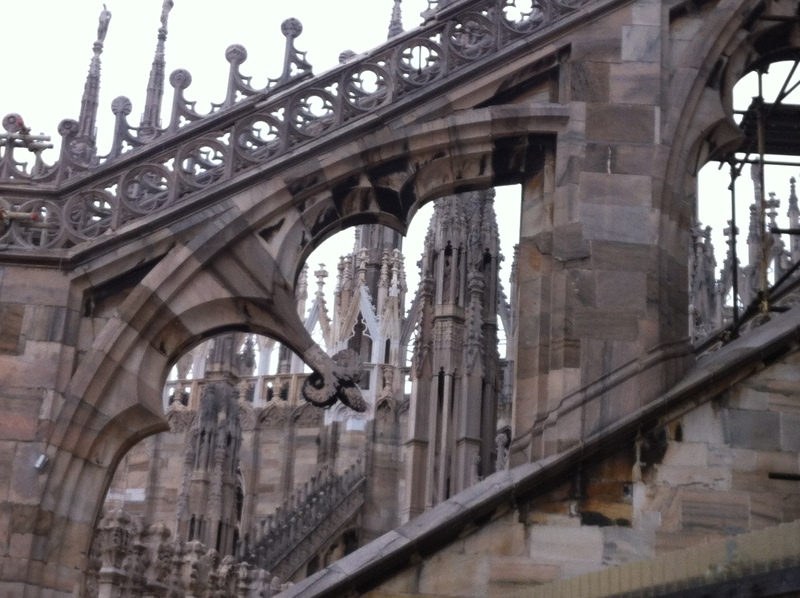 While it is also very old, much was destroyed during WWII and so has been rebuilt. It had such a different feel than Rome…more modern, contemporary, bright, despite it’s gray skies. Cars actually seemed to drive in their own lanes and not honk incessantly at each other. There even appeared to be more people than cars, unlike in Rome! We ate at a recommended traditional Milanese restaurant, which was good, but the food was heavy, compared to Roman cuisine, which I’ve become quite fond of. One night we wonderfully stumbled into Nobu at Armani and had yummy saki martinis and great sushi. Ahhh…it reminded us of home. We’ve yet to find fabulous sushi in Rome, though we’re told it does exist. 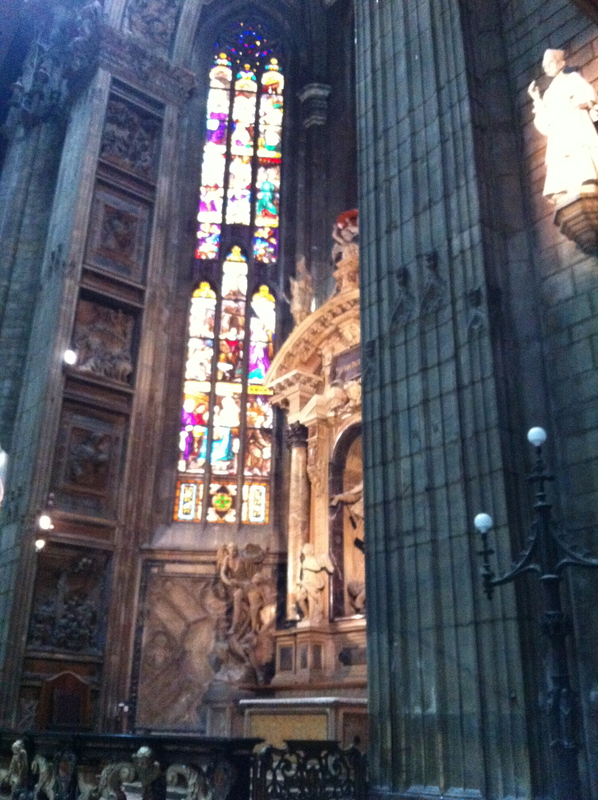 We visited the Duomo, Milan’s great cathedral. 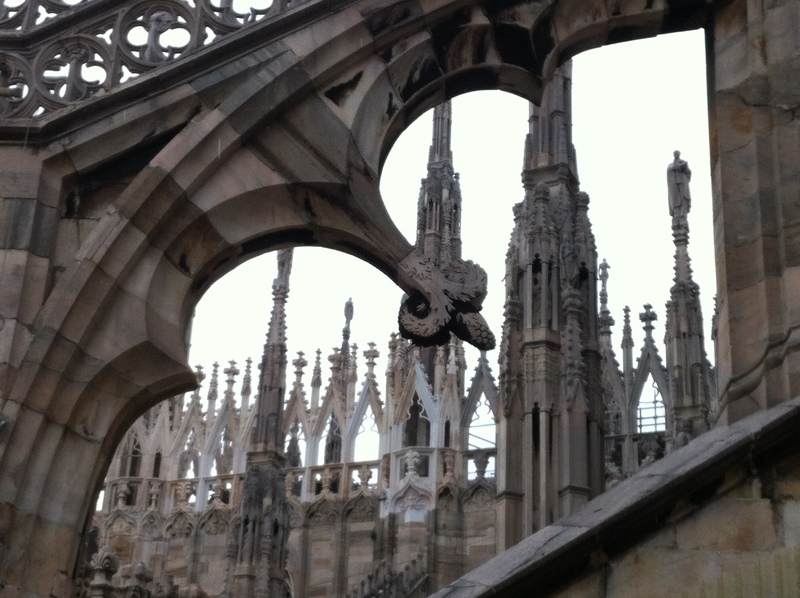 Despite the rain, we ventured onto the famed rooftop to explore and took in all of the Duomo’s incredible majesty. 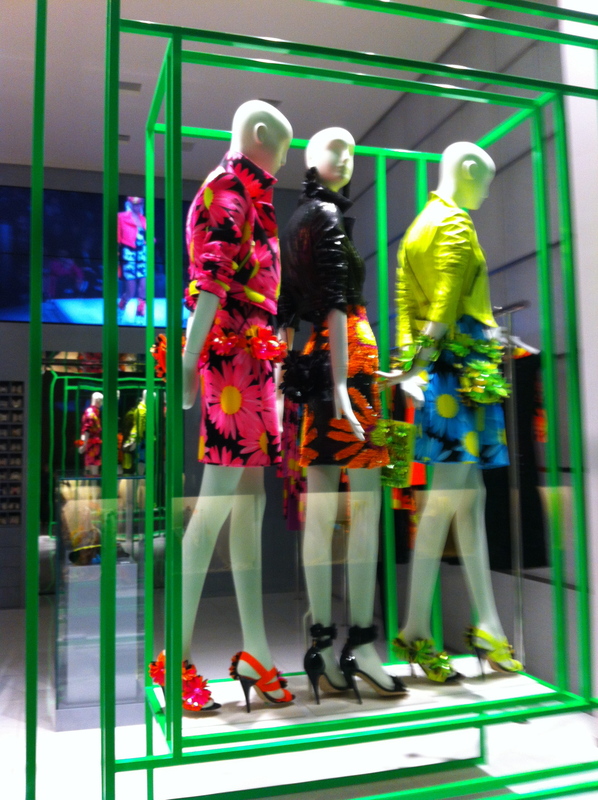 We marveled at the chic shop windows with all the fabulous clothes and furniture, while gasping at the prices. 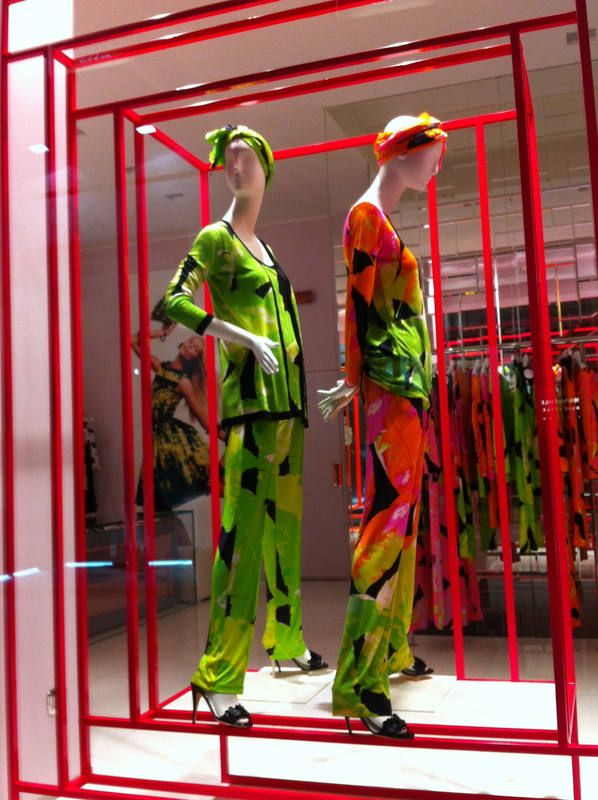 We found the less expensive areas for shopping and of course found a few treasures. The Le Frecce trains, which are high speed, make traveling around Italy’s main cities, quick and a pleasure. It was good to return to Rome, it all it’s complicated glory, but I’ll look forward to visiting Milan again for a hit of contemporary cosmopolitanism. 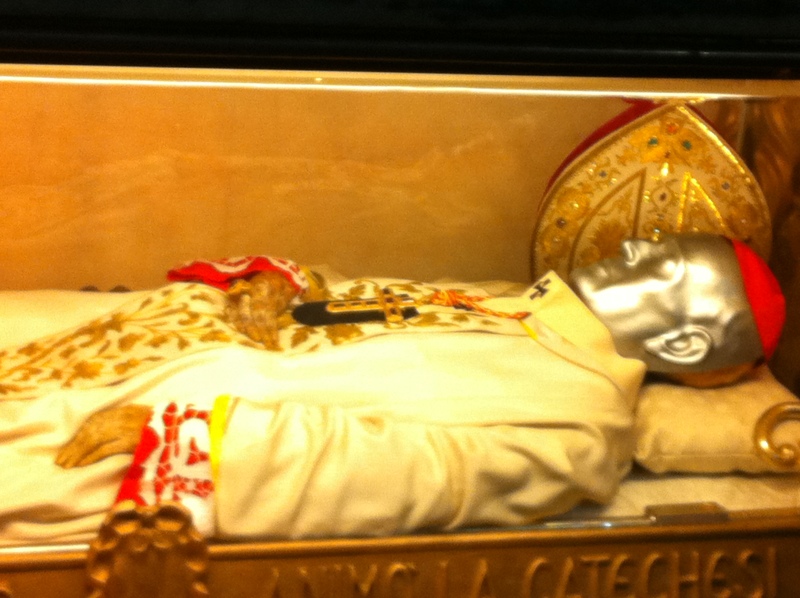 Vita del Beato Andrea Carolo Ferrari; yes he’s dead! We don’t really watch that much TV at home. Certainly not as much as your average American. But, okay, I admit, we do like to relax in the evening sometimes to a few shows on TV. We have the standard American 50+ inch HD TV at home in Phoenix (I am hoping to be facetious here) and a great L shaped couch, that allows us to snuggle up or find our own corners, depending on our moods. Here in Roma, we have been roughing it big time. There is a TV in our flat and a nice, probably 40 incher at that. But as far as we can figure out, it has some kind of satellite TV that is 99.9999% in Italian. There are at least a thousand stations, and as I said 99.9999% are in Italian. Even those programs that originate in English, are dubbed in Italian. I’m told Italy is one of very few countries that rarely uses subtitles, preferring to just dub the speech. It forces you to learn their language or go without! Since we were “going without”, it forced us to get creative. I brought my 13″ MacBook Pro with us and that has become our new TV screen. A friend here told us about purchasing a VPN, a virtual private network, that allows you to log into the internet and look like you’re still in your home country, wherever that may be; or not at home, if that’s safer for you politically. So we purchased a VPN. It has allowed us to stream Netflix, which you can’t do out of the country, but can do if it looks like you are still close to home. I discovered that iTunes carries many network shows for purchase and so the few network programs we follow, I have been purchasing episode by episode to finish out the seasons we started while still at home. But uh-oh, the network seasons are ending, and what will we do now? Michael has been pining for a sports game to watch where he can understand the commentators and the rules of the game. God I miss Showtime and HBO! What is Nurse Jackie up to this season? Will Kathy on the Big C continue to fight her cancer? 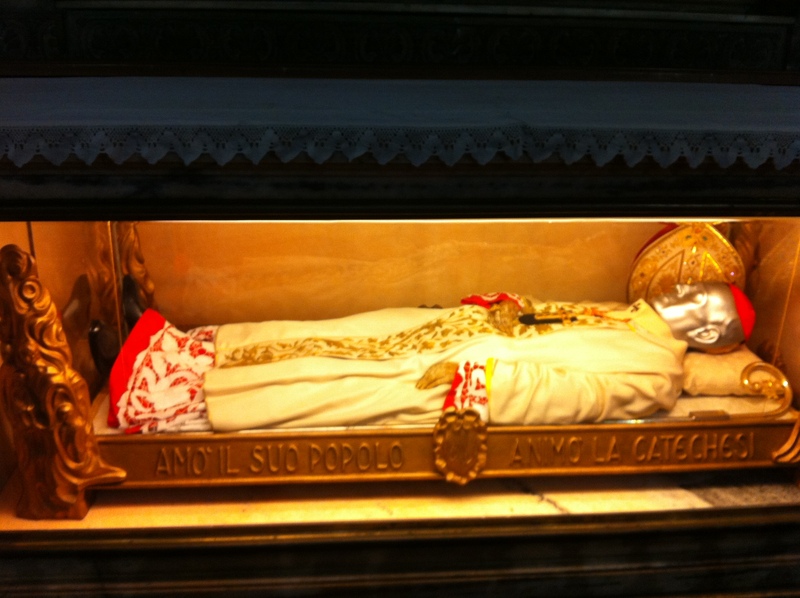 Is Alexander still Pope on the Borgias? So…we put our thinking caps on…and went online. Showtime has a service called Showtime Anytime and HBO has HBO Go. Both allow you to watch current seasons online via your computer or iPad. But you can only have certain, and in some cases, limited service providers to access these services. Hmmm…who do we know that might have the provider we need and if ‘luck be a lady’ also Showtime and HBO? We started contacting friends and family. We found the someone with the needed provider but they didn’t have Showtime or HBO. Can I pay you for them, I begged? She was happy to oblige. Low and behold…a few emails later, a few passwords exchanged, a log in here and a log in there, and the gods have shined down on us. It’s not TV…it’s HBO. Rome looks a lot sunnier today. Thanks, cuz! I’ve been watching “Borgia” on Netflix. It’s not the Showtime version, but a foreign production that Barry Levinson helped produce. 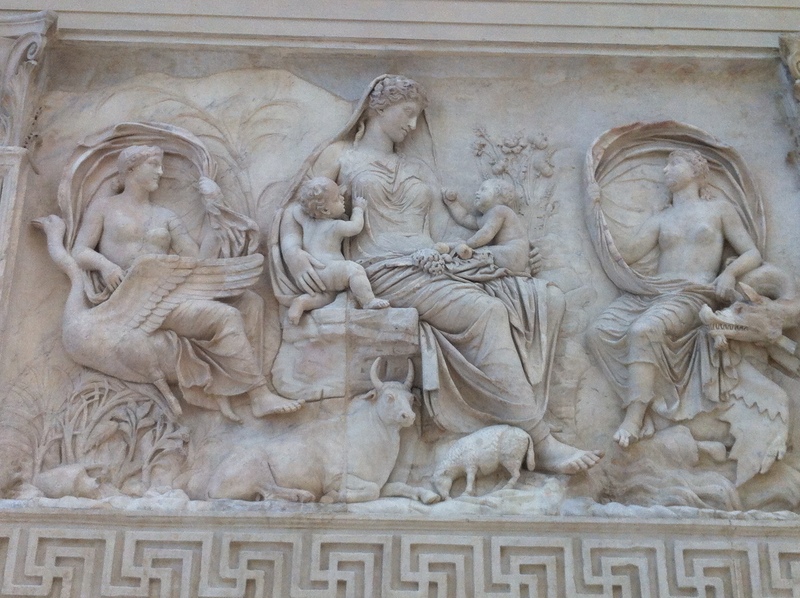 It’s quite good, very graphic and interesting to imagine being here, in Rome, during those days. The Romans, during the time of Pope Alexander VI were quite rough, to say the least. They loped off people’s heads without a second thought. Family members were plotted against, given to the enemy as hostages, even murdered. 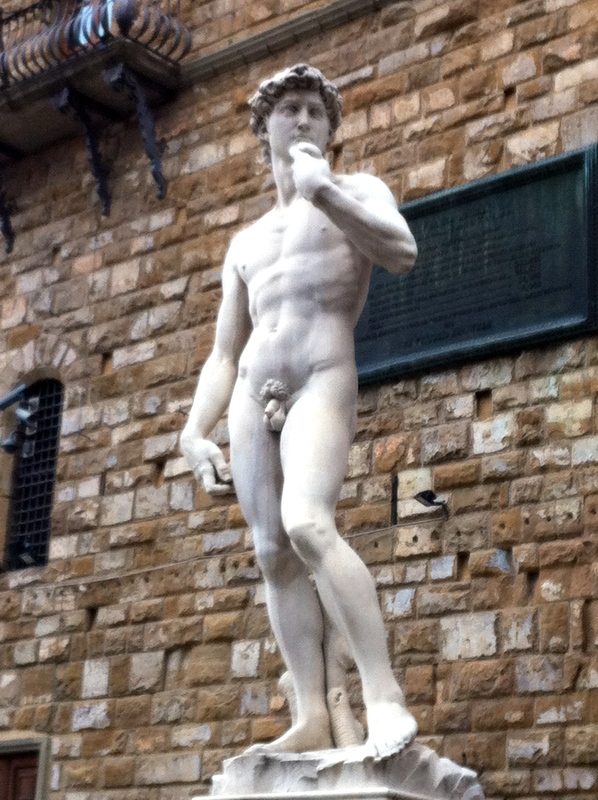 Your hands could be hacked off in the piazza in front of everyone, or you could be strung naked upside down and sawed in half, as punishment for some crime. (They actually did this on the show!) They knew their torture, that’s for sure. Since I’m not working while we are living in Roma, I’ve been under a self-imposed freeze on all of my “luxury” activities. Things like manicures and pedicures and massages and bodywork…things I do regularly at home. I justify them at home in part because I work and therefore can afford them. But a girl can only do her own fingers and toes for so long, before it’s time to give in and pay to have it done professionally. I went to Non Solo Capelli, a local salon on Via Gallia yesterday for a pedicure. I didn’t think I had been doing that bad of a job at it myself for the past few months. Little did I know! A Roman pedicure, at least at this shop, is not what Chee gives me at J’adore Salon on Greenway and Carefree Highway at home. No kind words (okay we don’t speak the same language, but still! ), no massaging throne chair, no soft touch. Martina the Toe Torturer, pointed at the plastic bin lined with plastic and filled with a little warm water, where my feet were to go. She didn’t bend down to attend to my toes; they were placed on a stool in front of her at a height comfortable to her, not me. She moved a light in front of my foot while she worked on it, so I could not witness the cutting and digging going on. I swear she used a dental instrument on my toes! My grimaces, winces and jerking movements didn’t slow her down for a second. There was no cleaning up of misplaced nail polish after it was applied. Swish, swish. She was done. I payed my 26 euro and walked out onto the street. I kept looking at my toes, as I was sure they were going to be bleeding. They weren’t. Amazing! They did look better than before, but at what price to my mental state? I practically had to hypnotize myself to just stay seated in the chair. Maybe I should cancel the appointment I’ve made to have a pedicure at J’adore when we return home for a visit. Or maybe not. It’s likely by then my toes will be ready for some pampering. It’s sure to be better than my experience of Roman toe torture. Many people go to church, especially here in Italy, to connect with God. I find God in Mother Nature; when I am smelling her sweet fresh air, gazing at her blue waters, appreciating a beautiful flower, feeling and hearing the wind. 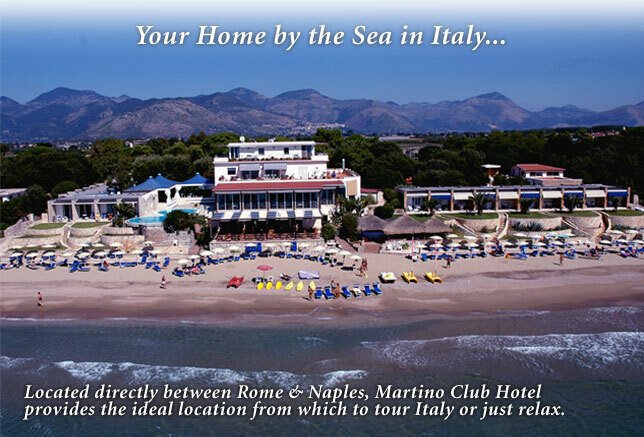 My soul went to church this past weekend, when we went to Martino Club Hotel, located midway between Rome and Naples on the Mediterranean coast. Our friend Teresa has a car, and a beauty at that! An Audi A4 convertible, just like Michael’s car at home. She offered to drive and thanks to Wanda, her Audi navigator, we easily found our way out of the city and into the blessed country side. Salto di Fondi, where Martino Hotel is located, is an easy drive south of Rome (there’s a link on the right). I left the driving to Teresa, gave Michael the front passenger seat so he could co-pilot, and I happily took the backseat where I could feel the wind rip through my hair. A friend of Teresa’s, Simon, recommended the hotel and has known the owners, 4 brothers who’s first names all begin with the letter “A”, for over 25 years. The resort was started by their father, who has passed away, along with a resort in Costa Rica. Mrs. Martino is still alive and well and acts as the hostess and matriarch of the clan. We of course used Simon’s name when making our reservation and we were treated like family from the moment I called. We had a sea view room, with a comfortable bed, and while the hotel is not fancy, the food was delicious and they do a great deal of local events there, i.e. weddings, christening parties and family celebrations. And being outside of the “high season”, I suspect things were more relaxed than when the season is in full swing. There were no menus. Antonio, one of the brothers, would come to our table and ask what we felt like eating and offer suggestions based on what they were cooking that day. We indulged in some wonderful fresh seafood and pasta and as we saw what the other guests were being served, we asked to be brought a taste too. We lounged in the sun (yes, Dr. Heck, I wore sunscreen), walked on the beach, listened to the gentle lull of the water slapping on the shore, slept, read, ate and talked. We went to the local bar where we met some of Simon’s friends – other Romans who’s parents built summer homes here when they were small, and they now visit with their children and marvel each year as the generations multiply. Walking to the metro this morning, the city felt a little less harsh and abrasive; the constant shriek of the ambulance sirens a bit less irritating. Ahhhhh…yes, my soul has been revived. 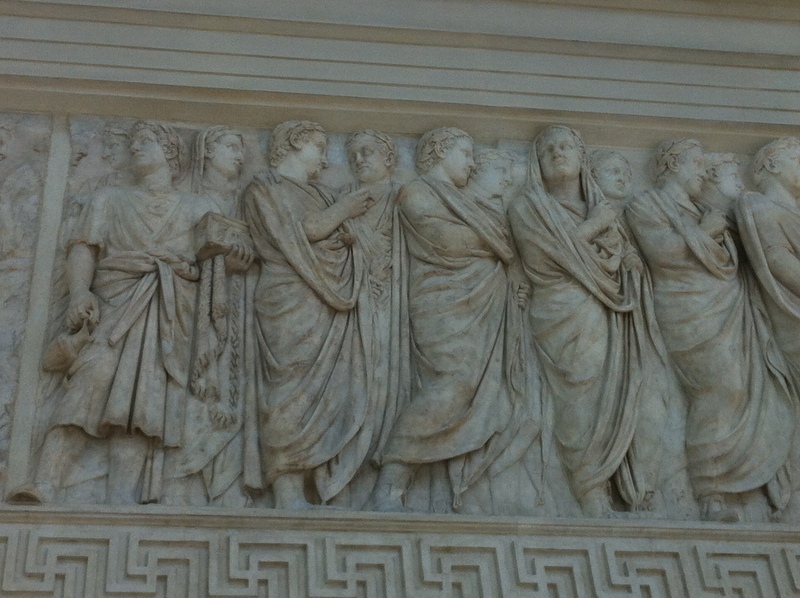 I went the other day to visit the Great Synagogue of Rome and it’s Jewish Museum. It was a very educational experience. The Great Synagogue is one of 16 synagogues in the city of Rome, where Jewish people have lived for over 2000 years. All of the synagogues are Orthodox; there are no Conservative or Reform temples as one finds in the US. They do however follow different “schools” of Judaism, primarily along the lines of “Roman” tradition, that of the “Spanish” community or Sephardic, and “Catalan”. When the Jews were expelled from Spain in 1492 by King Ferdinand and Queen Isabella because they wanted to rule only a Catholic empire, many Jews from Spain came to live in Italy and thus the Roman tradition of Judaism accomodated their brethren. I, of course, cannot here tell the entire history of Italian Jewery, but what was most interesting to me was to learn that for over 300 years, the Jews of Rome lived in a walled ghetto, which had been created by decree of Pope Paul IV in 1555. Prior to this, the Jews of Rome and the Papal States enjoyed various degrees of freedom and suffered various forms of discrimination, but this ghettoization, was the height of discrimination. It was ordered that only one synagogue could be built in the ghetto, which was at river level along the Tiber River. Inside the synagogue, Cinque Scole or 5 schools where created to accommodate the various practices of Judaism among Roman Jews and to also create space for community and educational activities. The museum, while not large, houses the largest collection of textiles created since the Renaissance period, which are used to decorate inside synagogues. It houses tombstones from the catacombs of Rome and manuscripts from the Middle Ages. Along with providing a rich history of Jewish life in Rome during the ages, it also showcases some of the treasures that were saved from the Cinque Scole when the ghetto was dismantled and destroyed in the late 1800’s. Admission to the museum includes a visit inside the Great Synagogue, which was designed by 2 famous Italian architects and built in the early 1900’s and a smaller Spanish synagogue, both which are in use daily today. Due to a terrorist bombing at the Synagogue in the 1980’s that killed one child and injured many, the security around the Synagogue is quite tight and no photos are allowed to be taken inside. I didn’t think to take a photo outside, and can’t figure out how to copy one from the internet, so sorry! But I have managed to put up a link under “Cool Stuff of Interest” to the right, for the website Jewish Italy, which has information about the Synagogue on it. It was a very interesting and educational visit, one I’d highly recommend. 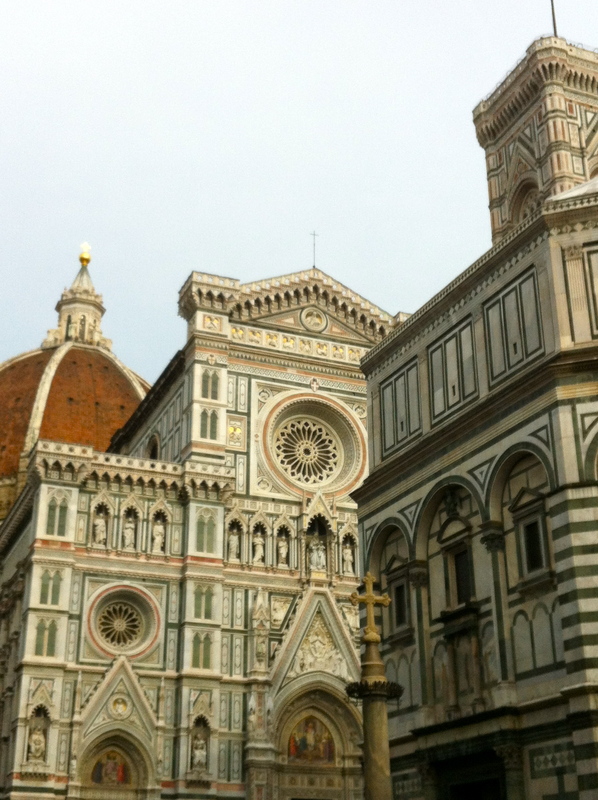 We had the opportunity to visit Florence last weekend. Unfortunately Michael was ill part of the time we were there, so luckily we had a nice hotel room at the Hotel Calzaiouli located right in the heart of Florence near the Duomo, where he spent part of each day in bed. 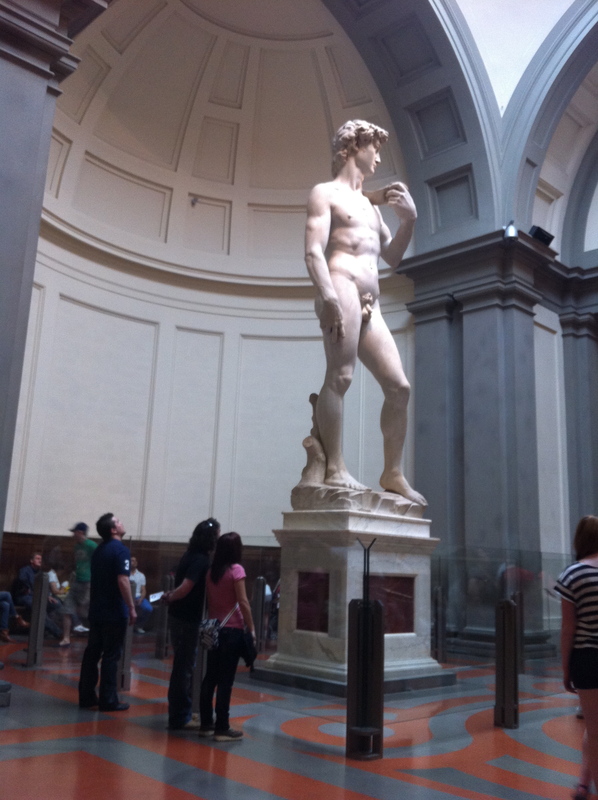 We did get to see Michaelangelo’s David at the Accademia Gallery, and I snapped a photo, which is verboten to do! We also visited the Uffuzi Galleries and viewed a few too many interpretations of Mary and the baby Jesus. 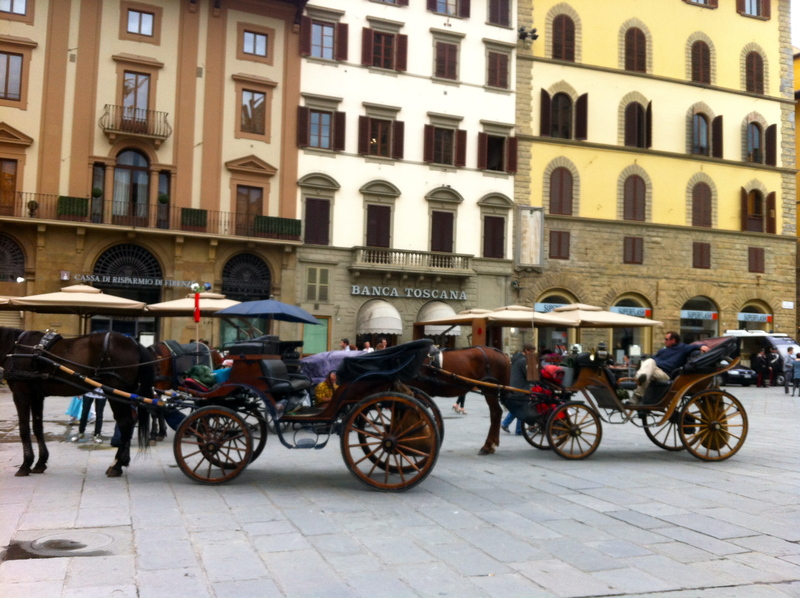 Florence is lovely, and it was much quieter than Rome, but packed wall to wall during the day with tourists. Naturally, we shopped, and of course ate. We had dinner at Il Latini, which had been recommended by a coworker of Michael’s in the States. They have 2 seatings, 7:30 and 9:30 pm. We arrived shortly before our 9:30 reservation and found ourselves stuck in a mob of people crowding the front door to get in. There seemed to be no rhyme or reason to who got picked next to come in and be seated, so I naturally pushed my way to the front of the crowd to at least get the attention of the host. We finally got a table in the outdoor courtyard, and once it was cleared of the previous diners leftovers, things started to improve. Our waiter was very knowledgeable about the wines, and offered suggestions for dinner. The food was great and we were offered complimentary after dinner drinks, desert and sent home with a bag of their homemade biscotti. We also took a photo of ourselves with the owner, Terrello, who walked around with a receipt book and after your waiter told him what you ordered, he would present you with your unitemized bill. Seemed somehow to work! The next night I found a place near the hotel, GustaVino, that turned out to be a great surprise. It is a small restaurant affiliated with their own vineyard, Lanciola, outside of Florence. The food was again scrumptious, and the wine delicious enough to bring home a bottle. I have been wanting to take a cooking class since coming to Roma. I love Italian food and often cook pastas and homemade pizzas at home. Little did I know about REAL Italian cooking. I searched the internet and came upon http://www.cookingclassesinrome.com. 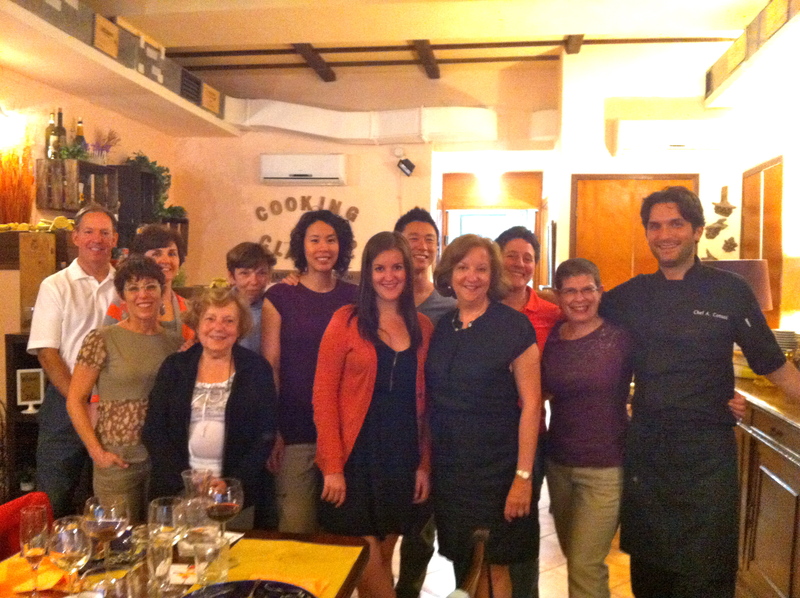 It is a cooking school in Trastevere that specializes in offering one-time cooking classes in English (mostly to students and tourists). Chef Andrea and his American wife Erica, do all the shopping and menu planning. You can provide them with special requests if there is a dish you would like to learn how to make, or have dietary preferences or restrictions. They design a 4 course meal with wine, for a small additional fee, and during the course of the day, you learn some of the secrets of Italian cooking and participate in the preparation of each dish. At the end of day, you get to sit down in the lovely, adjoining dining room and eat what you have prepared, while Andrea explains about each of the wine pairings. The day I attended there were 10 other students, all Americans. Normally there are 12 people in the class. While the kitchen is a bit small, they provide work space for all participants and you can move in and out as you wish. 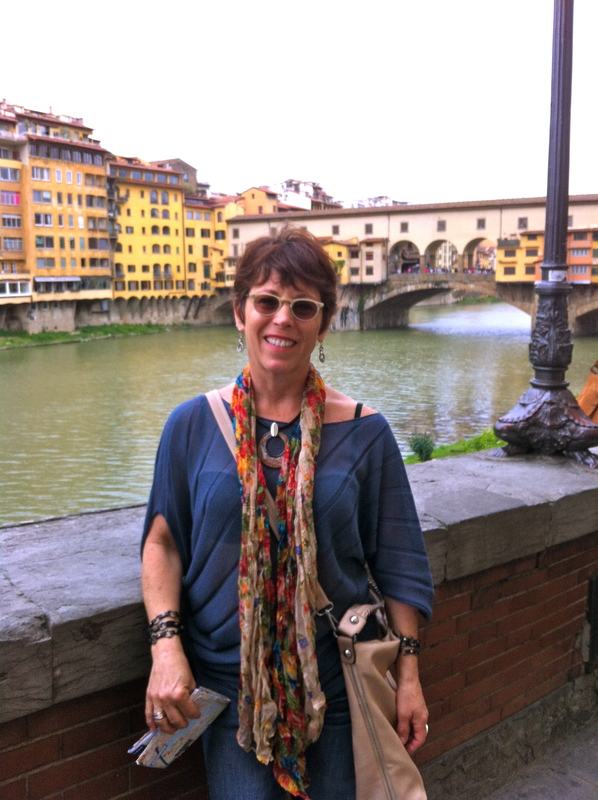 Andrea is very knowledgeable and quite entertaining, and makes learning about Italian cooking fun. The appetizer was an amazing stuffed zucchini flower with either mozzarella and eggplant, or mozzarella and proscuitto. We made a beer batter to dip them in and they were gently fried so that the flower opened up in the pan and the cheese inside melted in your mouth. Accompanying the flowers was a fresh southern italian tomato pesto, which we used as a dip. Our first course (primi) was ravioli stuffed with spinach and ricotta cheese with a fresh tomato sauce. I’ve included a picture below of me taking my turn at beating the eggs for the pasta. For the second (second course), we made teenage veal in a mushroom, peas and white wine sauce. And finally for desert we indulged in pear and chocolate soufflé, which Andrea presented with each of our names written out on our serving platters. I learned a lot, ate soooo well and have plans to bring Michael with me the next time. Tomorrow I’m going to tackle the fresh tomato sauce at home for dinner, as I couldn’t resist the fragrant, plum tomatoes today in the market. Bon Appetito!